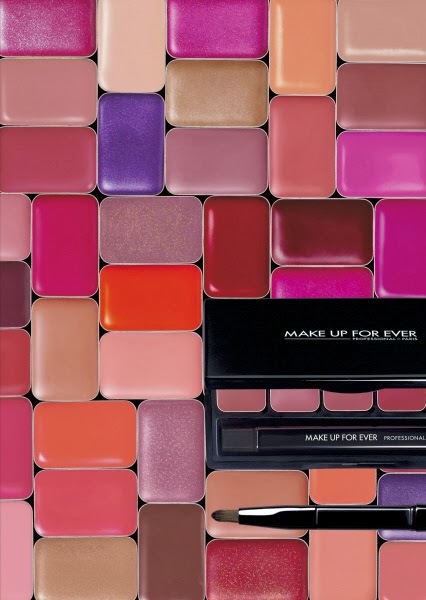 The lipstick palette has been one of MAKE UP FOR EVER’s most iconic products right from the start. For 2013, it has joined forces with another phenomenal bestseller, Rouge Artist. Ever since Rouge Artist was launched, women have been mesmerized by the profusion of colors in its two collections. First, Rouge Artist Intense for ultimate glamour: high pigmentation, heavy coverage, and ultra-intense results with just a single application. This is Lipstick with a capital L for longwearing. And second, Rouge Artist Natural, a collection of luminous shades. Just as vivid but with a transparent texture, these colors produce a natural, fresh look. Rouge Artist is every woman’s lipstick. An explosion of color, a multitude of finishes (matte, satiny, pearly, iridescent, diamond), ultra-intense or transparent natural shades, a perfect harmony however you play it. It offers one of the broadest selections of lipsticks, and as always, the MAKE UP FOR EVER promise. For the first time, a selection of Rouge Artist Intense and Rouge Artist Natural shades has been combined into 8 palettes. Each reflects a different color family: Warm Pink, Cool Pink, Warm Beige, Cool Beige, Red, Coral, Brown and Plum. There’s a palette for every taste, and each one contains 5 shades with warm and cool harmonies in perfect accord. They are dense enough to easily blend into an even, consistent color. 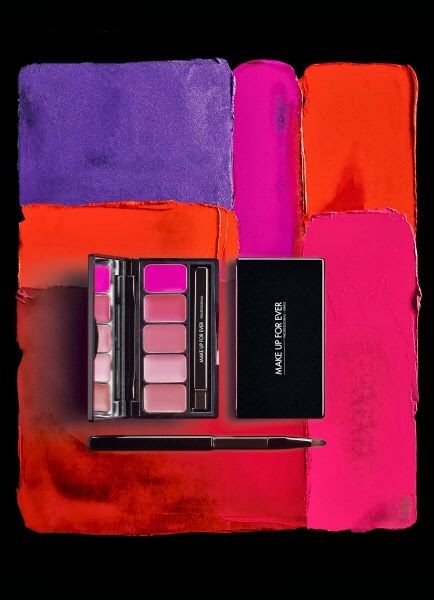 Rouge Artist Lip Palette: the ideal color chart to select whatever depth of color your heart desires. This compact and purse-friendly palette also features a mirror and a lip brush.